Popularly known as the Sandalwood City, Mysore is the third largest city in the state of Karnataka. The city is also famous for its amazing historic Royal heritage. The city was the capital of Kingdom of Mysore for more than five centuries. The city has amazing places to visit, most notably the Mysore Palace. Adjoining the River Kaveri, the Brindavan Gardens were built around 1930. It is quite a popular place and receives a footfall of over 2 million people every year. The official residence of the Royals of Mysore, the construction of the place was completed in 1912. The architecture of the palace is a perfect blend of Rajput, Muslim as well as Gothic and Hindu style. Spread across an area of over 55 acres, the lake has a Butterfly Park and Indias biggest walkthrough Aviary in India. 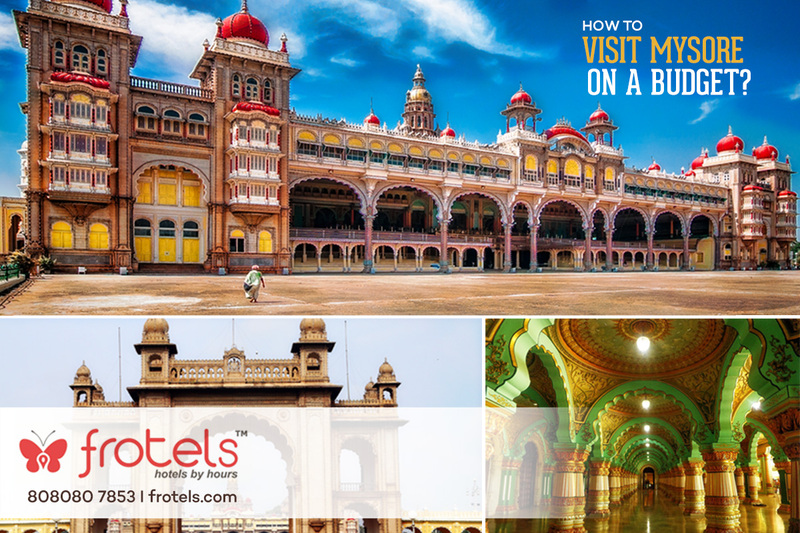 The city of Mysore is full of such amazing surprises and visiting them all is now even more convenient and cheaper due to amazing hourly booking options of Frotels.